SIPRI’s Governing Board took part in an engaging discussion in Stockholm on the state of the world today. The Board—which counts among its members former foreign ministers, international diplomats and research directors—spoke on global risks, challenges and prospects for peace and security. 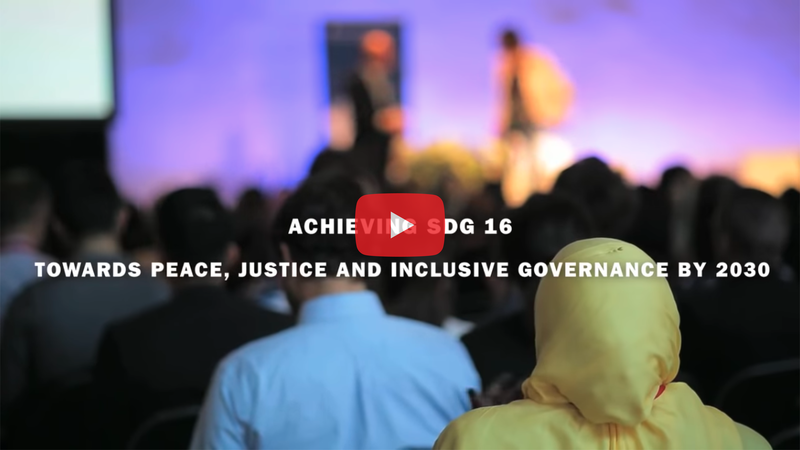 A new SIPRI Searchlight film examines Sustainable Development Goal 16 (SDG16)—peace, justice and strong institutions in the world by 2030. The film incorporates a range of perspectives from the peace building community and identifies the need to devise ways to globally monitor progress towards SDG16. SIPRI launched a new Policy Paper on transparency in military expenditure in sub-Saharan Africa (SSA). The study finds that the level of transparency in military spending in SSA is greater than previously thought. Between 2012–17, 45 of the 47 states surveyed published at least one official budget document in a timely manner online. Based on expert interviews at the 2018 Stockholm Security Conference, SIPRI has produced a new film series—‘Exploring the security risks posed by newly emerged technologies’. The series features expert interviews from a range of fields and illustrates the varied perspectives on the security risks related to emerging technologies. This topical backgrounder highlights the need to dissect international concerns about Iran’s missiles. It proposes ways for the European Union to alleviate the concern that Iran may develop intercontinental ballistic missiles and to address the drivers of Iran’s regional missile policy. Since 2001, state discussions on anti-vehicle mines (AVMs) under the UN Convention on Certain Conventional Weapons (CCW) have stalled and the topic risks being completely dropped. This blog illustrates the impact of AVMs and the importance of continued state consideration with a case study on Mali where an increase in AVM impact has been observed. 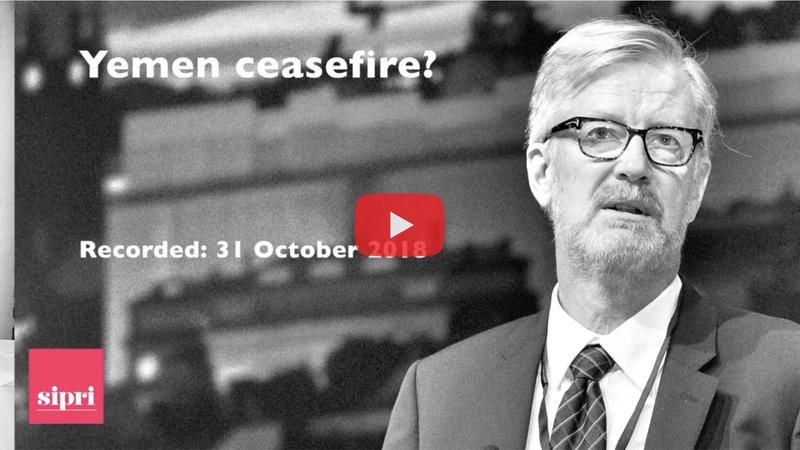 In this Peace Points episode, Dan Smith, SIPRI Director, shares his insights following the recent US call for a ceasefire in Yemen and the prospects for peace in the region. 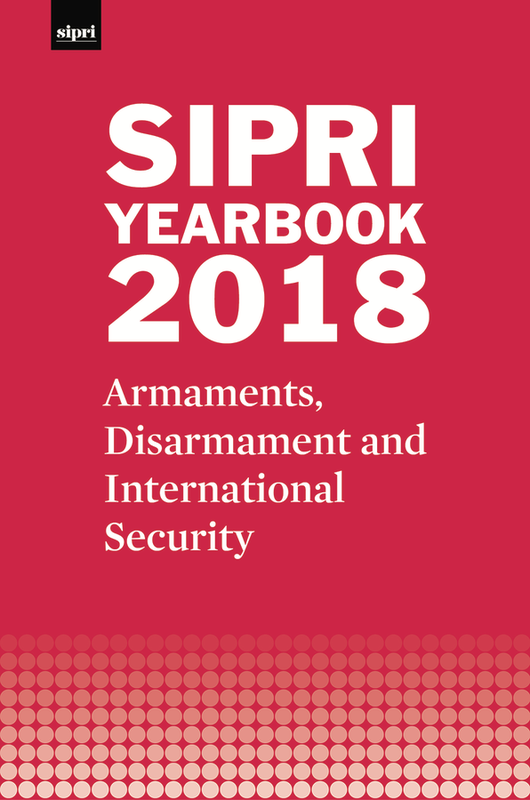 On the occasion of the launch of a new report, SIPRI will co-host two events in Washington, DC with a focus on nuclear security in the Black Sea region. The events will be hosted in cooperation with George Washington University and the Fissile Materials Working Group. For further information, please contact Stephanie Blenckner, SIPRI Communications Director (blenckner@sipri.org). SIPRI partners with the World Food Programme (WFP), the Swedish Ministry for Foreign Affairs and the Swedish United Nations Association for a whole day event at Fotografiska. The event aims to highlight Sweden’s role in driving UN Security Council Resolution 2417, which recognizes the link between hunger and conflict. For further information, please contact Jonathan Eng, Communications Officer at the WFP Nordic Office (jonathan.eng@wfp.org). SIPRI, together with the European Centre for Development Policy Management (ECDPM), hosted a panel discussion on ‘The changing nature of support to peacebuilding’. The discussion addressed the key findings of the ECDPM report ‘Supporting Peacebuilding in Times of Change: A Synthesis of Four Case Studies’, and brought together expertise from the ECDPM, SIPRI, the British Government’s Department for International Development and the Swedish Ministry for Foreign Affairs. SIPRI, together with the United Nations Environment Programme, UN Women and the UN Development Programm, co-hosted a session at this year’s Geneva Peace Week. The session was on ‘Women in the frontlines: Promoting inclusive approaches to the climate change and security nexus’. Additionally, Dr Jaïr van der Lijn, Director of the SIPRI Peace Operations and Conflict Management Programme, was a speaker during the session on ‘The effectiveness of peace operations in DRC, Mali and Somalia’. This session focused on the findings of three studies that the Effectiveness of Peace Operations Network undertook in 2018. Dan Smith, SIPRI Director, attended the fourth annual meeting of the Astana Club (12–13 November 2018) which focused on the theme ‘Towards a Greater Eurasia: how to build a common future?’. Smith chaired a panel discussion on the topic ‘Critical time for Eurasia: is there a way out of the geopolitical deadlock?’ and a debate session on ‘Will the world be a safer place in the XXI century?’. On 17 November, Ambassador Jan Eliasson, Chair of the SIPRI Governing Board and Dr Marina Caparini, Senior Researcher in SIPRI’s Peace and Development Programme, participated at the Swedish Forum on Human Rights in an expert seminar entitled ‘Human rights in the UN’. During the forum, SIPRI was present in the exhibition section located at ‘Fredstorget’. The Middle East and North Africa (MENA) is a region where strengthened arms transfer and small arms and light weapons (SALW) controls are particularly needed. While a range of factors mean that states in the region are unable or unwilling to request assistance or participate in activities, a significant amount of work has been done in MENA. What has been lacking to date is a comprehensive overview of the range of activities that have been carried out. Drawing from SIPRI’s Mapping ATT-relevant Cooperation and Assistance Activities database, this Background Paper fills this gap by presenting the first comprehensive overview of arms transfer and SALW control-related assistance activities involving states from MENA. In doing so, the paper outlines the main areas of focus to date, the key actors involved and potential gaps in the work conducted. In order to make peace processes more inclusive, increased participation by women and other excluded groups has been emphasised for decades. However, the discussion has tended to treat women’s participation as synonymous with a gender perspective. Defining what a gender perspective is and how it could be applied throughout a peace process has remained largely unexplored. This paper draws on current frameworks, proposes a definition of a gender perspective in peace processes and introduces a way of operationalizing this definition. The suggested indicators are used to assess the Colombian peace process and the Mindanao peace process.